The collection was donated to the University Archives by the estate of Maurice Klaus Michael Murphy in 1986 (accession number 1986:07). The materials contained in folders within this collection have been arranged alphabetically. The volumes of bound speeches have been arranged chronologically and follow the material in folders. The Pennsylvanian, was president of the Friar’s Senior Society, was an Ivy Week Committeeman, and was elected to the Beta Gamma Sigma scholastic honorary society. Murphy earned a B.S. in Economics from the Wharton School of Finance and graduated as valedictorian of his class. Murphy would go on to obtain an M.B.A. from the New York University Graduate School of Business, an L.L.B from the Fordham University School of Law, and an L.L.D. from the New York University School of Law. Murphy held a number of positions throughout his professional career. He served as president of the Federal Home Loan Bank of New York, president of the United States Savings and Loan League, as a director of the National Thrift Committee, Inc., director of the International Benjamin Franklin Society, and was chairman of the United States Chamber of Commerce’s Committee on Communism. Murphy was also heavily involved in his community of Rutherford, New Jersey. There, he served as the president of the Rutherford Chamber of Commerce, as a trustee of the Community Chest, commander of the Rutherford Civilian Defense Corps, and director of the Rutherford Y.M.C.A, of which he was also a founder. The Maurice Klaus Michael Murphy Papers document Murphy’s professional life from 1939 to his death in 1963. 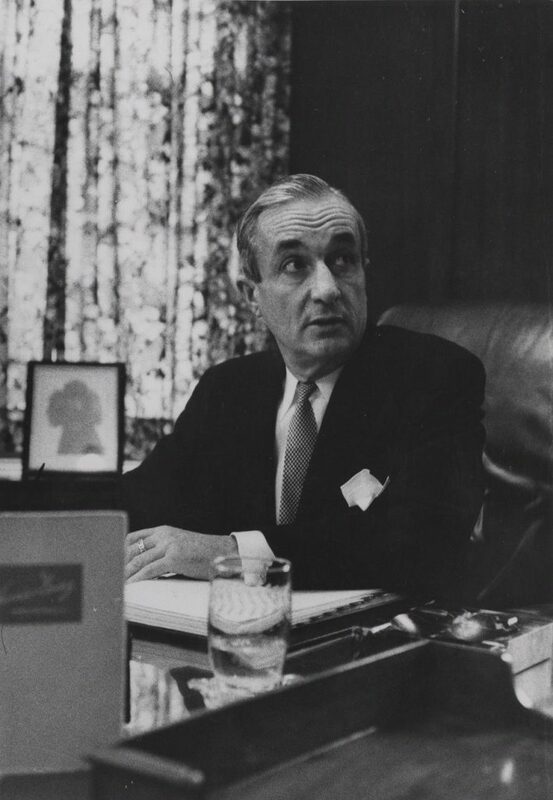 A folder of clippings documents the time Murphy spent as president of the Federal Home Loan Bank of New York 1954-1963. There are also congratulatory notes that were sent to Murphy upon his appointment in that position. Four volumes of bound speeches and one folder of unbound speeches that cover the years 1939-1960 are included in the collection and are complimented by several photographs of Murphy at the events in which the speeches were delivered. There are several notes of condolences that were sent to Murphy’s widow Jacqueline at the time of his death, and a memorial booklet produced in his honor by his employer, the Federal Home Loan Bank of New York. Also included is a scrapbook of University of Pennsylvania, theater, and travel memorabilia that Murphy collected from 1922 to 1924. Bound speeches, Volume IV, 1949-1954, n.d.